Snipers, shelling, car bombs, suicide attacks. 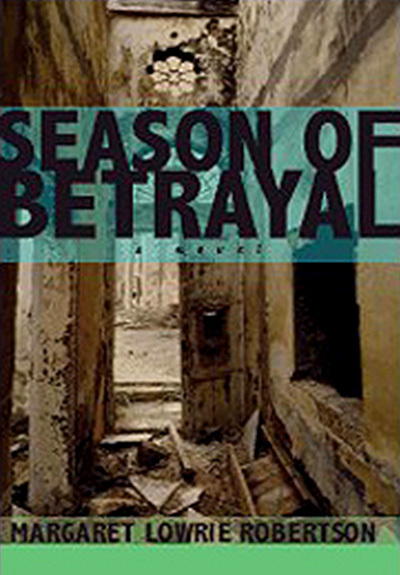 This is Beirut 1983, and Lara McCauley is an outsider in a city at war. Against this chaotic canvas, Lara tries to hold her marriage together, but her life is quietly falling apart. Lara and Mac arrive to take up his new posting, not long after the Marines are sent in as peacekeepers to help restore stability in this fractured land, but the Marines quickly become embroiled in Lebanon’s political problems. Her husband, Mac, an American journalist, has his hands full with work and a new circle of comrades in arms at the Commodore Hotel. Lonely and scared, Lara increasingly seeks out the friendship of a Polish journalist, and their desperate affair sets into motion events with unforeseen, fatal consequences. Margaret Lowrie Robertson was an International Correspondent in CNN’s London Bureau from 1993 to 2002, primarily covering British news and politics and other European-based stories. She covered the first Gulf War in 1991 and was one of the first female correspondents to report on live television from inside Iraq during the Allied bombing campaign. She is married to CNN Senior International Correspondent Nic Robertson, has two daughters, Lowrie and Nicky, and live in London.